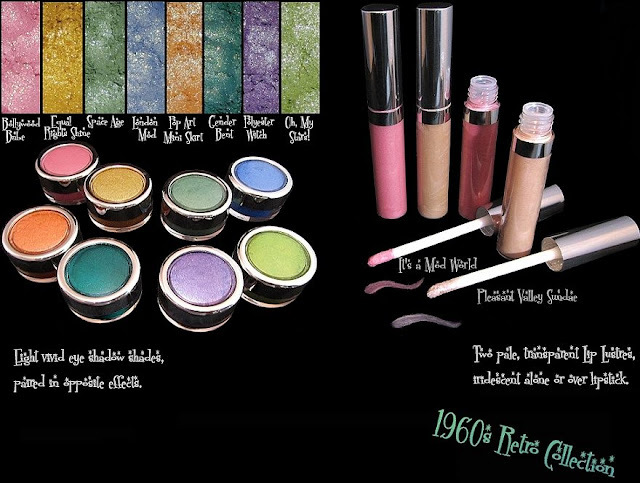 Fyrinnae just released a 1960's Retro Collection recently, the collection includes 8 eyeshadows and 2 Lip Lustres! I ended up buying one of everything (as well as a few extras), so go check it out! I am saved from buying ALL THE THINGS only by the fact I'm flat broke, hahahaha.